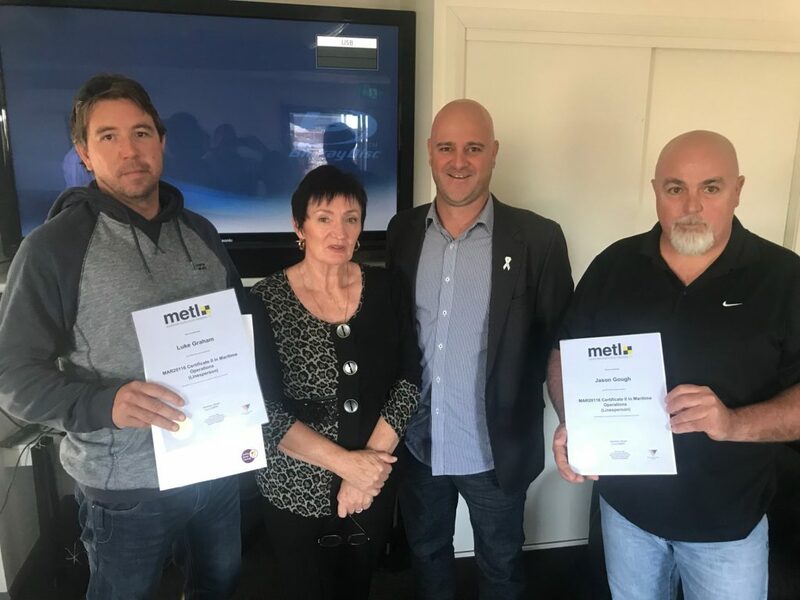 In an industry-first, a partnership between Svitzer Australia, the Maritime Union of Australia, Maritime Employees Training Ltd and Nexus Learning Systems has delivered a nationally recognised Certificate II qualification for Linespersons, with commitment to rolling out the training to the entire Svitzer Lines crew complement, as well as other operators in other States. Congratulations to 12 Newcastle-based Svitzer Australia linespersons for successfully completing the qualification in Certificate II in Maritime Operations (Linesperson). Svitzer’s Western Australia-based Kwinana operation was quick to follow Newcastle, with 18 employees now undertaking the course. Training in Port Kembla and Eden will follow. The qualification delivery process was developed by Kerrie Simpson, of Nexus Learning Systems, drawing on the knowledge and experience of a dedicated team of Linespersons. Industry-based, not-for-profit Maritime Employees Training Ltd is the only Registered Training Organisation (RTO) approved to award this qualification in Australia. This qualification is the foundation of the safety focus that Svitzer has been progressing for all our lines business’, and complements the other initiatives rolled out, including GPH Certificate of Competencies for all Lines Crew ratings to meet the minimum AMSA standard, the Small boats SMS in HMS, and the inclusion of the small vessels in the Vessel Certificates System. Understanding that unique circumstances will exist from port to port, the qualification has the flexibility to be customised to suit the requirements of any operation, ensuring the training is relevant to the job. Congratulations to all who completed the training, and good luck to all who are currently studying.